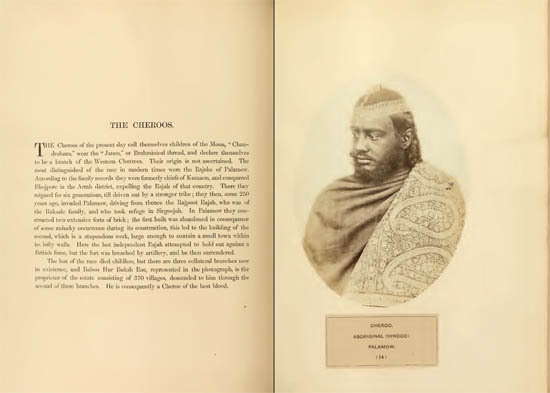 What we have is both an example of the interplay between photographs and text, and a fascinating insight into the mind of the British Raj. The photographs are, for the most part, conventional studio-type portraits of individuals, though there are some fine group studies. It is the texts that are the most revealing: a mixture of gossip, ethnography and military intelligence report, with little attempt at distance or objectivity. In the beginning of the nineteenth century the British found themselves in direct control over much of the Indian subcontinent. Vastly outnumbered by their subjects and facing a bewildering array of religions, languages, customs, tribes, and castes, the British Raj sought to define (and hence regulate and control) the inhabitants of its Indian territories. If, as Foucault suggests, knowledge is both an effect and instrument of power,1 then the project of understanding the myriad facets present in India culture was also a project of recutting that particular gem in the imperial crown in order to let the light of justification and reason shine on the British Raj. The “definition” of the Indian peoples took place before there was much in the way of either theory or practice of anthropological study. The project of identification and description filled hundreds of volumes. It was made manifest in the census (and accompanying reports) that began in the early 1870s. It formed a substantial part of a series of gazetteers (generally, one volume for each district) and the administrative manuals to various areas. 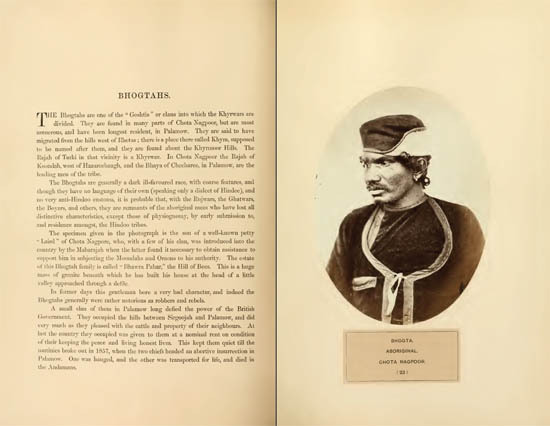 As British officials with an interest in ethnography began to collect and compile accounts, the project of classifying India’s people took the form of a series of “Castes and Tribes” books for different regions. These were heafty multi-volume works. 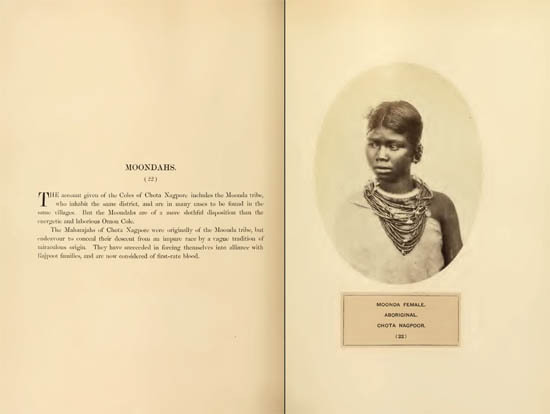 In terms of such publications, the project could be said to start with Edward Balfour’s 1858 Cyclopaedia of India and close with the 1928 four-volume set Mysore Tribes and Castes. 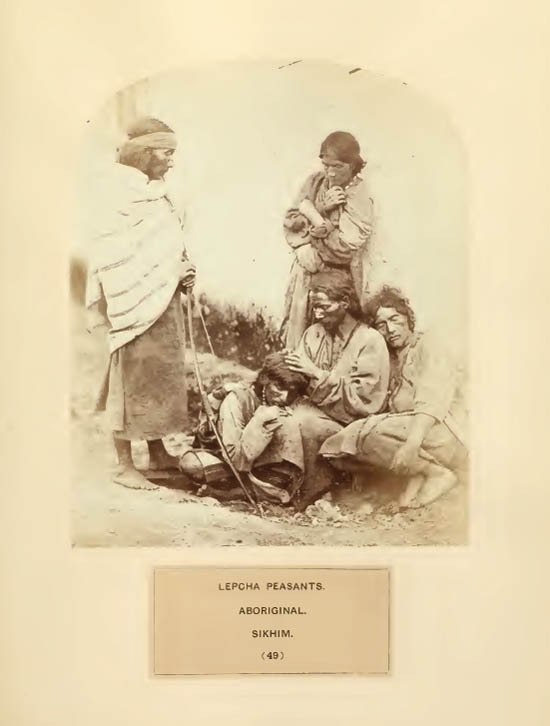 At its best, the project was a formative compendium of ethnographic detail completed by sympathetic and intelligent observers who sought to understand the cultures they were living among. While it was true that it was formative anthropology with a heavy bias, it still managed to preserve a wealth of invaluable detail. The Peoples of India occupying as it did an uneasy position somewhere between exhibition curiosity and colonial administrative manual was, apparently, largely ignored by the public.9 Many of the photographs are dispassionate, a cross between police line-up and family portrait. They are, of course, remarkable for what they depict and the time they were taken. Many of the group poses are unusual – showing individuals sleeping while leaning up against each other. It is impossible to tell if this was a natural state or a romantic notion on the part of the photographer. There are some excellent portraits in the collection, however, on the whole the photography lacks the impact of a unified vision or an emotional attachment to the subjects. 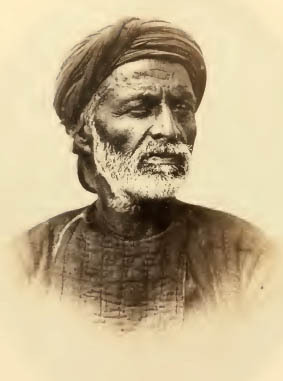 Despite its failings, a photographic project of the range and scope of The People of India would not be undertaken again. 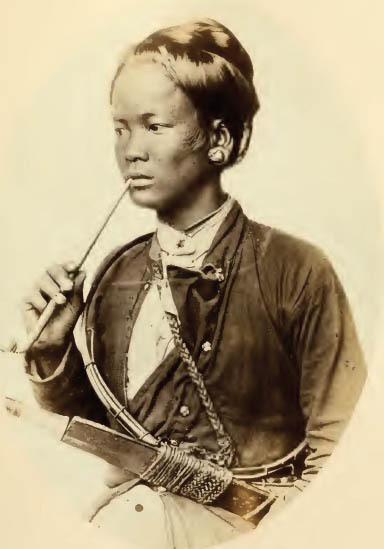 The apparatus of the State would switch to photographing individual criminals, and the public’s interest in diverse cultures would be satisfied by professional photographers and travel writers. 1. I owe this concise statement of Foucault to Nicholas B. Dirks who stated it in Castes of Mind: Colonialism and the making of Modern India, published in 2001 by Princeton University Press. 4. 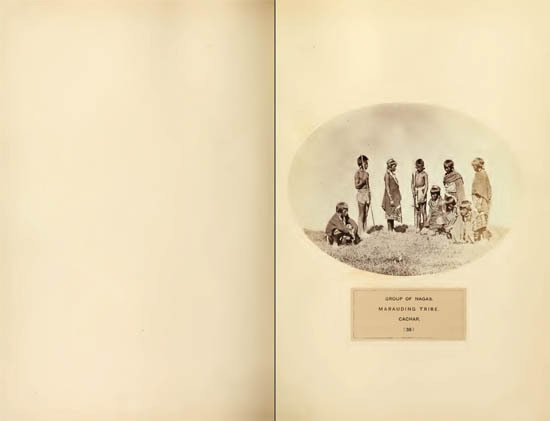 Preface to The People of India, the full title of which is The People of India: A Series of Photographic Illustrations with Descriptive Letterpress of The Races And Tribes Of Hindustan, Originally Prepared Under The Authority of The Government of India and Reproduced by Order of The Secretary of State for India In Council. 5. Charles Canning was not disinterested in culture having served on the Royal Commission on the British Museum (1847–49). 6. Thomas R. Metcalf 1997 The New Cambridge History of India. Volume 3, Part 4, Ideologies of the Raj, pg 119. 7. 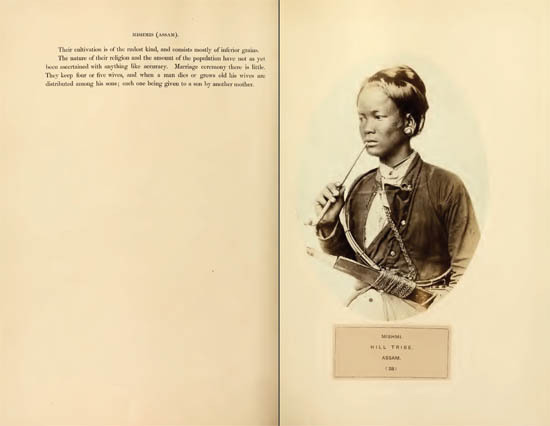 “A Passion for Documentation: Architecture and Ethnography” John Falconer in India Through the Lens: Photography 1840 – 1911 ed. Vidya Dehejia, Charles Allen 2000 Freer Gallery of Art and Arthur M. Sackler Gallery, Smithsonian Institution. pg 79. 8. “The Visual in Anthropology” David MacDougall in Rethinking Visual Anthropology ed. Marus Banks, Howard Morphy 1997 Yale University Press p 276.